Your beautiful new home comes with a country club lifestyle. This quiet community lies just 2 miles from downtown Woodstock & a few minutes off I-575. Now Selling New Active Adult Homes in Acworth built by Pulte Homes! 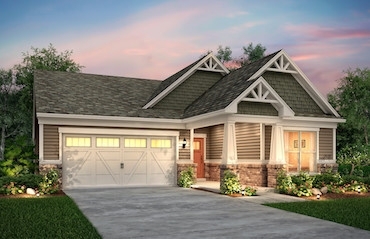 The ranch-style homes in Prescott, designed for active adults, are perfect for family and friendly gatherings. Explore our collection of home designs, all with consumer-inspired open living floor plans by Pulte. 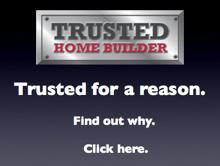 Enjoy the flexible options, like adding a loft or Sunroom. After a day of shopping at Town Center Mall or a hike at Kennesaw Mountain Park, stop at a local festival or retreat into your new Pulte dream home. The low-maintenance ranch-style homes offer a sanctuary to enjoy time with family and friends. Acworth is 15 minutes from Marietta, Roswell, and Woodstock, and three miles from I-75. Unwind and shop nearby at Town Center Mall, and enjoy restaurants, grocery stores, pharmacies, and other shops within a short drive from Prescott. In about 15 minutes you can reach the employment hubs of Marietta, Roswell, Woodstock or I-75 towards Atlanta. Nearby shopping and entertainment is anchored by Town Center Mall, just off I-75. Wellstar Kennestone Hospital, only 9 miles away, has been recognized for high performance in Diabetes and Endocrinology, Nephrology, Orthopedics, Gastroenterology, Neurology and Neurosurgery by U.S. News Best Hospitals. Woodstock Square shopping center just 3.5 miles away featuring Kohls, Target, Ulta Lowes, Home Depot and more. Kroger and Publix are both less than 2 miles away for added convenience. 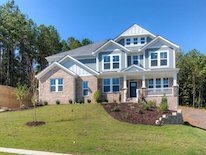 Minutes to Bells Ferry and Town Center shopping areas, as well as others along Hwy 92. 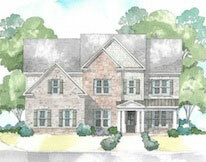 For more information on these new homes in Cherokee County call Pulte Homes at 888-246-5324.